There are so many people in our community who with much anguish and emotional pain struggle to conceive or complete a pregnancy. The Torah tells of how Avraham and Sarah, Yitzchak and Rivka, Yaakov and Rachel, our forefathers and foremothers, also struggled with fertility problems. Throughout our long history we have followed their example of praying to G-d mindful of the profound truth that children are among His most creative and awesome miracles. G-d has given doctors and scientists the wisdom and inspiration to make dramatic advances in technology and medicine that can greatly increase the likelihood of giving birth to a healthy child. The Malka Ella Fertility Fund provides the financial support to make these wonderful advances available to those in need and thereby becomes what the Talmud would call a partner in the creating with G-d Himself. 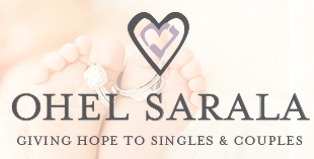 The South African Jewish Community is very blessed to have the Malka Ella Fertility Fund. May G-d continue to bless their holy and wonderous work. There is no greater privilege in life than that of being blessed with children. The ongoing work of the Malka Ella Fertility Fund helps young Jewish couples in accomplishing this most wonderful mitzvah. It is our honour to be connected with this important ongoing project. Our association with the Fertility fund, with the name of our daughter Malka Ella a”h, has been particularly meangingful to us. Each child that is born with the assistance of the fertility fund gives us personal simcha. We look forward to a long relationship, and once again express our gratitude to the dedicated team that gives time and energy selflessly to helping other achieve their dream. organisation, will bring a spark of Natanel’s light back into the world and will B”H give an aliyah to his neshamah. We are deeply grateful to the organisers of the Malka Ella Fund, as well as the Salitan family for their generosity in including Natanel in this holy endeavour. 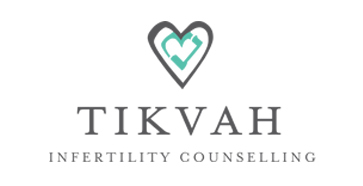 Tikvah offers counselling and support for people experiencing anything related to infertility. In addition, Tikvah conducts all pre-screening required by the Malka Ella Fertility Fund. Tikvah is run by Tanya Rubin is committed to helping those suffering the pain of infertility. Tanya is fertility counselor who has both personal and work experience in infertility. She offers counselling in the form of support and empathy in order to help people cope with some of the difficulties of infertility. Travelling the road of infertility can be lonely and scary, but it doesn’t need to be if it is shared with someone who knows what the journey is all about. SHIFRA (Science and Halacha Infertility Authority) under the Rabbinical Authority of Rabbi Gidon Fox ensures that the South African Jewish community is privileged to have access to the highest halachic standards and protocols in the area of Artificial Reproductive Technology. Rabbi Fox, who is in continual contact with the Puah Institute in Jerusalem, is made aware of halachic concerns and issues as current technologies develop. Shifra was established to guide Jewish couples through this process which can be a halachic minefield. The main activity provided by Shifra is the supervision during certain treatments. From egg retrieval, until re-implantation a mashgicha is provided to ensure that all halachic concerns are met during the laboratory process. This is performed by our trained mashgichot who adhere to the highest levels of confidentiality and Tzniut. The Malka Ella Fertility Fund pays for the mashgicha for all Malka Ella fertility funded treatments. We also provide a mashgicha for all other patients who request, at their own cost. In addition to Shifra’s supervision services, they provide halachic insights and sensitivities that are required for each situation. As some fertility problems have a genetic basis, Chana has been established to assist couples in increasing their chance of having a healthy baby through providing genetic and medical counselling. Couples with infertility may be at risk for having a child with a genetic condition based in their family history, age or ethnic background. Genetic counselling will assist in interpreting genetic risks, management and prevention, while also offering psychosocial support to a couple or family. Some common reasons that individuals meet with genetic counselors include: carrier testing for Ashkenazi Jews, woman over 35 years of age, a couple with 3 or more miscarriages or infertility issues, multiple IVF failures, individuals at risk or diagnosed with a genetic condition, an abnormal prenatal or postnatal test and a known genetic condition in a family. Clarity in navigating this part of infertility often gives individuals and couples the hope they need as there are many options available for a couple to have healthy children. 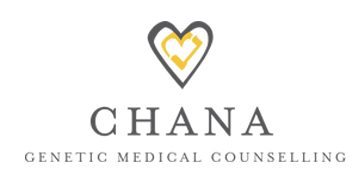 Chana is run by Kara Stoler, a genetic counsellor, who has a particular focus in infertility and medical counselling. 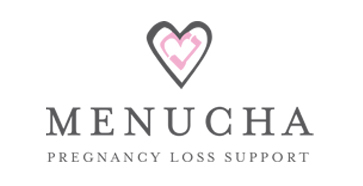 Menucha, the newest division to the Malka Ella Fertility Fund, offers couples with resources and support to help cope with pregnancy loss. Sometimes, despite our greatest wishes and efforts, a pregnancy doesn’t go as planned. Beyond the physical need to heal, Menucha offers couples and women an opportunity to focus on wholistic healing and recovering by addressing the emotional and spiritual needs that come up after pregnancy loss. Menucha recognizes that a mother’s loss, regardless of how far along in the pregnancy she was, is devastating and brings about its own set of hardships and suffering. Menucha offers a confidential and supportive outlet to navigate those feeling that come during this time. Some of the ways we offer our support is through our pregnancy loss packages, face to face and over the phone meetings. You don’t have to suffer alone! Hope can sprout from an unexpected source. When Rabbi Shlomo Bochner, founder of Bonei Olam, the organisation that offers support to couples struggling with infertility in the United States of America, visited Rav Aharon Leib Shteinman, Rav Shteinman mentioned that he is unable to sleep as he is troubled and saddened by the two major issues facing Klal Yisrael, that of singles who have not yet found their match and couples struggling to bear children. Over the past decade many singles have had a hard time finding their match. Community leaders have spent hundreds of hours in discussion trying to find viable solutions to this troubling issue. 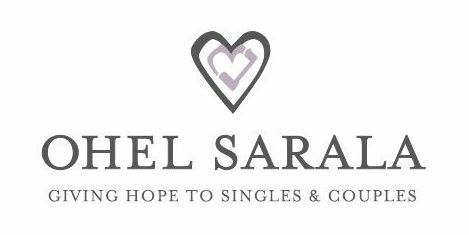 Now Ohel Sarala, named after Sarala Ginzburg, serves as discreet connector between singles and childless couples. Hebrew names of the husband and wife yearning for a child of their own are given to a single, and, in return the couple receives the name of a single longing to build a home. They daven for each other and channel their heartfelt pleas to Hashem, not for themselves but for each other. In addition, the single donates any amount that they are capable of, to be used towards medical expenses needed by the couple.